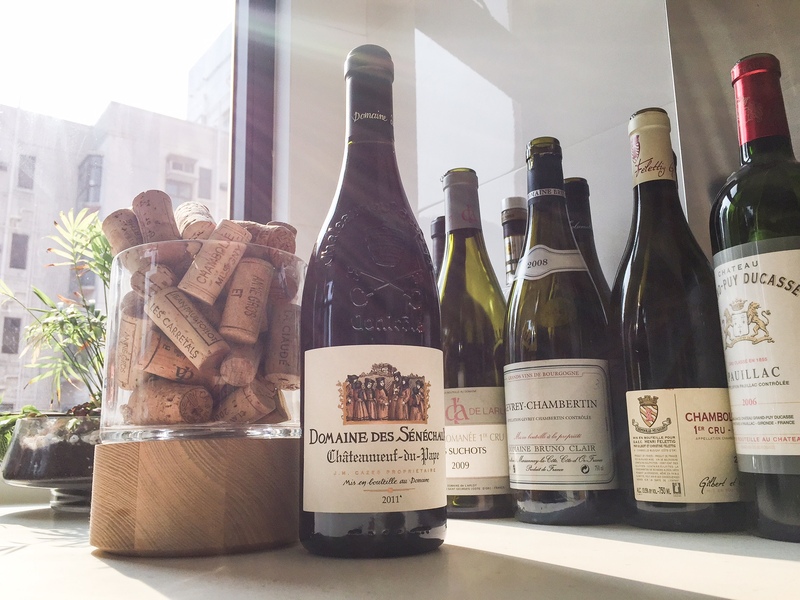 First sweet thoughts Chateauneuf du Pape for the Pre CNY arrived today. I can definitely use this Jean Michel Caze Domaine des Sénéchaux for some good hot steak tonight. Thanks! This 2011 is made up of 62% Grenache, 20% Syrah, 17% Mourvèdre and 1% shared between Vaccarèse and Cinsault. Some of the grapes are destemmed, and regular pigeage and déléstage are carried out during fermentation and maceration, which last for three to four weeks. The wine ages for 1 year in old foudres, in demi-muids, and in one to three year-old small barrels. No young oak is used. The Domaine des Sénéchaux owns 25.3 hectares of winegrowing area, including three hectares for white wine. The vineyards are located in the lieux-dits of Les Revés, Grand Pierre, and Bois Sénéseau. Three distinctive soils, each with differing clay and sand content, make up the 22 hectares of vines. The premises measuring 12 hectares in Bois Sénéseau is situated on a plateau with loamy subsoil and big stones. In Les Revés, there are more pebbles on the soil, and in Grand Pierre, the subsoil is composed of a mixture of loam and safre, a bluish cobalt rock.